[Aquarists have] the feeling that organisms somehow "use up," "change," or "consume" many of these [trace] chemicals, and in doing so, forever remove the chemicals from the reef aquarium system. This assumption is not completely false, some chemicals are "used up" and removed from the system, but most are not. Organisms are dynamic entities, and while some chemicals are temporarily sequestered away, such chemicals generally remain available in the system due to metabolic turnover. The only real exceptions to this as far as organisms are concerned are those chemicals, such as calcium, which get incorporated into an insoluble matrix. Several trace elements are found in elevated concentrations in aquarium water [Table 2; Figure 2]. Some of these metals have extremely high concentrations relative to NSW; tin has already been mentioned as having concentrations over 200,000 times above normal, but Thallium, Titanium, Aluminum, Zinc, Cobalt, Antimony, and Copper all have concentrations of over 95 times normal. Several of the trace metals varied in concert, particularly Cobalt, Tin, Zinc, Titanium, Copper and Vanadium, and lower but still positive correlations with Nickel and Aluminum are found. All of these metals are found at concentrations far above those of natural sea water. Some of these concentrations are almost unbelievably high. Tin has an average concentration in our systems of over 200,000 times greater than in natural sea water. Increases in many of these same metals are correlated with the age of the tank. One explanation for that pattern would be that they may build up with the passage of time. The older tanks also have more ammonia, nitrate/nitrite, phosphorus, iodine and copper than younger tanks. Many of the trace element concentrations are lower than they are in freshly made up artificial sea water. Whether this indicates organism use, or abiotic chemical reactions, is unclear. Even though these levels are lower than in "fresh" artificial sea water, they are still very much higher than in natural sea water, and may still indicate a cause for concern. If I have an older tank - say 7 years old or so. With live rock, gravel, and an ongoing UAS taking out the N and Phosphate. What would be the recommendation? Wouldn't the build up of metals or less trace elements be harmful to various organizims such as corals etc.? Would adding trace elements or other things to the tank be beneficial? There is no buildup. Metals are consumed by the algae, and the algae also add trace elements to the water. That's where trace elements come from in the ocean.... algae. I don't understand how that can work for us as it does in the ocean? 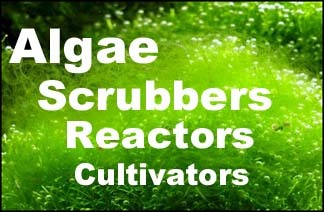 With our scrubbers we are harvesting it weekly and removing it from the system. So arn't we harvesting the trace elements the same as the metals? In the ocean the algae grows but how is it getting harvested out of the ocean? Copepods eat the algae and put the good traces into the tank. The algae consume the bad traces, and are harvested. In the oceans and lakes, the "harvesting" is the dying and falling of dead algae into the sediment where it is buried and subducted into the earth. That is why organisms in the oceans and lakes have learned to consume certain traces but are not capable of dealing with other traces: because the other traces aren't there, because they get carried to the sediment and buried. Ah so are or are you saying that we don't really need to clean our sand beds as this will help harvest more. Not saying that. However a CUC should handle anything that falls down there. Does anyone have any research, studies, testing examples, etc. that demonstrates the above quote happening in practice in tanks with scrubbers or UAS? Also, are you aware of articles that explain about algae eating metals and adding trace elements to the water in the ocean or in reef tanks? Any references for articles that explain this above quote in more detail? Are you suggesting that codepods only eat the good traces which end up back in the tank BUT they don't eat the bad traces/metals? Thanks for any more information about this. I found the this thread very interesting and I would like to learn more. You'll have to search; no time to dig up links. No problem. I'll post anything I find here. If other folks know of resources, please post here too.